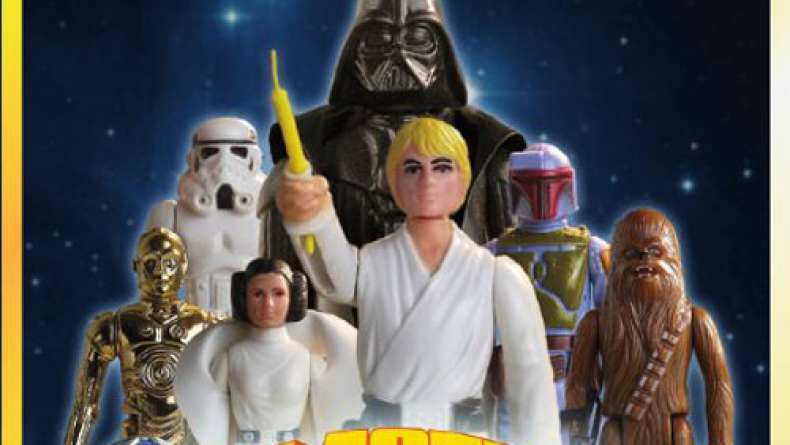 Trailer for Plastic Galaxy: The Story of Star Wars Toys. When Star Wars landed in the theaters, it introduced audiences to a galaxy filled with heroes and villains, robots and space ships, and a dizzying variety of alien life. But when the lights came up, they all disappeared... Unless you had all the toys. In which case, the adventure never had to end. In backyards, playgrounds, basements, and bedrooms, Star Wars toys helped kids re-enact scenes from their favorite movies, and create entirely new dangers for Luke Skywalker and his friends to face. They were lusted after on holidays and birthdays, swapped with great cunning out on the school yard, and carefully collected like fine treasures. Like no toys before them, the action figures, space ships, play sets, and props were a phenomenon that swept the nation with as much force as the film that inspired them. Along the way they transformed both the toy and movie industries, earned those behind them vast amounts of wealth, and ultimately created a hobby that, 30 years later, still holds sway over not only the people who grew up with the toys, but also an entirely new generation of fans. Plastic Galaxy is a documentary that explores the groundbreaking and breathtaking world of Star Wars toys. Through interviews with former Kenner employees, experts, authors, and collectors, it looks at the toys' history, their influence, and the fond and fervent feelings they elicit today.